Here are some snazzy birthday facts about 22nd of July 1958 that no one tells you about. Don’t wait a minute longer and jump in using the content links below. Average read time of 10 minutes. Enjoy! What day was my birthday Jul 22, 1958? July 22, 1958 was a Tuesday and it was the 203rd day of the year 1958. It was the 29th Tuesday of that year. The next time you can reuse your old 1958 calendar will be in 2025. Both calendars will be exactly the same! This is assuming you are not interested in the dates for Easter and other irregular holidays that are based on a lunisolar calendar. What day is July 22 this year? There are 87 days left before your next birthday. You will be 61 years old when that day comes. There have been 22,193 days from the day you were born up to today. If you’ve been sleeping 8 hours daily since birth, then you have slept a total of 7,398 days or 20.25 years. You spent 33% of your life sleeping. Since night and day always follow each other, there were precisely 752 full moons after you were born up to this day. How many of them did you see? The next full moon that you can see will be on May 18 at 21:13:00 GMT – Saturday. Fun stat: Your first one billion seconds (1,000,000,000) happened sometime on March 30, 1990. If a dog named Yoryi - a Skye Terrier breed, was born on the same date as you then it will be 260 dog years old today. A dog’s first human year is equal to 15 dog years. Dogs age differently depending on breed and size. When you reach the age of 6 Yoryi will be 40 dog years old. From that point forward a small-sized dog like Yoryi will age 4 dog years for every human year. View the complete list of July 22 celebrity birthdays. Who are the famous July 22 birthdays? Here’s a short list of famous people in history who were born on Jul 22. View the complete list of July 22 famous birthdays. 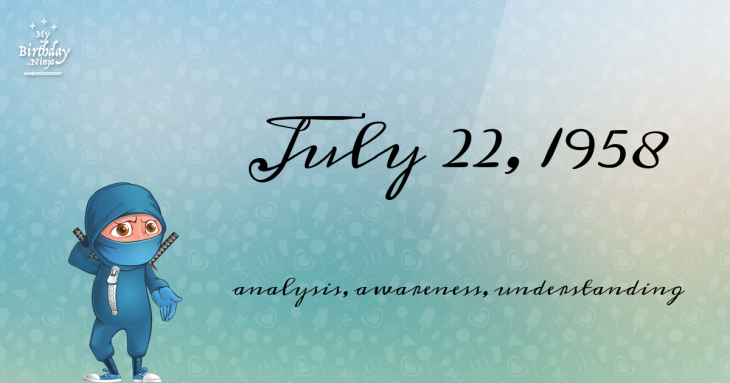 What happened on my birthday – Jul 22nd? Battle of Anzen: The Byzantine emperor Theophilos suffers a heavy defeat by the Abbasids. Wars of Scottish Independence: Battle of Falkirk: King Edward I of England and his longbowmen defeat William Wallace and his Scottish schiltrons outside the town of Falkirk. Battle of Dornach: The Swiss decisively defeat the army of Maximilian I, Holy Roman Emperor. Alexander Mackenzie reaches the Pacific Ocean becoming the first recorded human to complete a transcontinental crossing of Canada. Surveyors of the Connecticut Land Company name an area in Ohio “Cleveland” after Gen. Moses Cleaveland, the superintendent of the surveying party. American Civil War: Battle of Atlanta: Outside Atlanta, Confederate General John Bell Hood leads an unsuccessful attack on Union troops under General William T. Sherman on Bald Hill. Holocaust: The systematic deportation of Jews from the Warsaw Ghetto begins. Crown Colony of Sarawak achieve self governance. Norway is the victim of twin terror attacks, the first being a bomb blast which targeted government buildings in central Oslo, the second being a massacre at a youth camp on the island of Utøya. View the complete list of July 22 historical events. Curious about this Pink Jelly Star? This is a party item you can activate and send to your friends when you play the free game Jump Birthday Party. It’s a fun and easy-to-play mobile game for all ages. Get free 1,000 gold coins when you download today! What does my birthday July 22, 1958 mean? 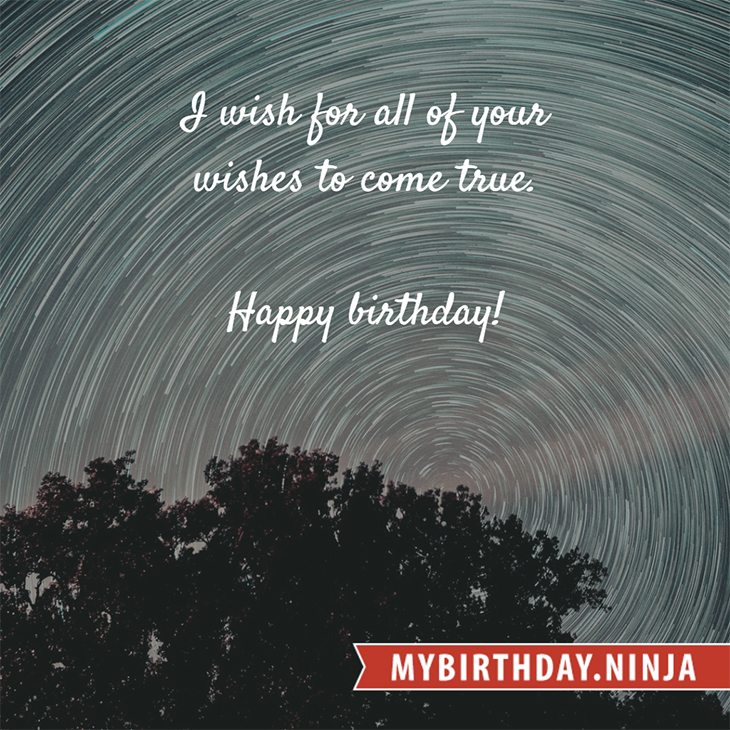 Your birthday numbers 7, 22, and 1958 reveal that your Life Path number is 7. It represents analysis, awareness and understanding. You are the searcher and the seeker of the truth. The following celebrities also have the same life path number: Eva Avila, Mary Millar, Adam Faith, Robin Wright, Nicky Whelan, Sheri Moon Zombie, Ken Mitsuishi, Jacob Tierney, Ivan Rebroff, Patrick Swayze. What is the birthday horoscope for Jul 22, 1958? The Western zodiac or sun sign of a person born on July 22 is Cancer ♋ (The Crab) – a cardinal sign with Water as Western element. The ruling planet is Moon – the celestial body of moods and emotions. According to the ancient art of Chinese astrology (or Eastern zodiac), Dog is the mythical animal and Earth is the Eastern element of a person born on July 22, 1958. What is the birthstone for July 22? Ruby is the modern birthstone for the month of July while Ruby is the mystical birth stone (based on Tibetan origin). The zodiac gemstone for Cancer is emerald. Lastly, the birthday stone for the day of the week ‘Tuesday’ is ruby. Fun fact: The birth flower for 22nd July 1958 is Larkspur for haughtiness. What is the Love Match for Jul 22, 1958? When it comes to love and relationship, you are most compatible with a person born on June 24, 1944. You have a Love Match compatibility score of +185. Imagine being in love with your soul mate. On the negative side, you are most incompatible with a person born on January 14, 1935. Your incompatibility score is -160. You’ll be like a cat and a dog on a love-hate relationship. Arf-arf, I want to bite you. Meow-meow, stay away from me! What is a good birthday trivia for July 22? I do not know how you feel about this, but you were a male ♂ in your last earthly incarnation. You were born somewhere around the territory of Bulgaria approximately on 1600. Your profession was jeweler, watch-maker. How many babies were born on July 22, 1958? Base on the data published by the United Nations Population Division, an estimated 103,731,629 babies were born throughout the world in the year 1958. The estimated number of babies born on 22nd July 1958 is 284,196. That’s equivalent to 197 babies every minute. Try to imagine if all of them are crying at the same time. What is the popular baby name on 22 Jul 1958? What’s your bizarre Florida Man story? The #FloridaManChallenge is breaking the Internet and social media. Some crazy men, women, or creatures from the Sunshine State are making headlines every day of the year including your birthday. Try this fun exercise. Pick your search engine of choice and type in “florida man July 22” and see what kind of wild news headline you will get. This viral craze started in 2013 and gets resurrected now and then. The latest was from Tumblr and found its way to Twitter. As they say, the rest is history. Here’s a quick list of all the fun birthday facts about July 22, 1958. Celebrities, famous birthdays, historical events, and past life were excluded. Try another birth date of someone you know or try the birthday of these celebrities: September 26, 1973 – Julienne Davis, American actress, producer, and screenwriter; July 21, 1953 – Jeff Fatt, Australian keyboard player and actor (The Wiggles and The Cockroaches); May 13, 1977 – Ilse DeLange, Dutch singer-songwriter (The Common Linnets).